The lightweight yet strong fiberglass frame is easy to carry around with the included storage bag and quickly folds open to setup. You won't miss your next kill with the six full view windows and four small windows providing 360 degree visibility. 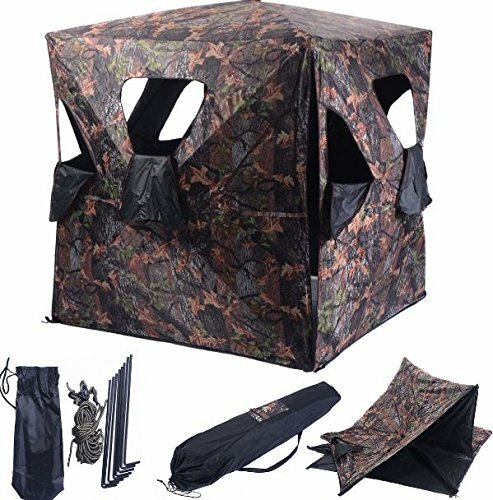 Rugged hub frame design allows for quick setup and takes down of hunting blind.